It’s obvious by now that the shape of the modern IT landscape is drastically different than it once was. With the large amount of Mac® and Linux® machines now used for work, there is a huge influx of cross-platform environments. Many services are being moved to the cloud through SaaS, leading to fewer and fewer on-prem requirements. Companies are innovating at a breakneck pace. But one aspect has remained firmly rooted in place over the past 20 years: the directory, or more specifically Microsoft® Active Directory®. AD has been a staple in IT infrastructure ever since it’s introduction in the 90s. Thanks to the Microsoft lock-in strategy, AD has stood its ground even as everything else in IT transformed. Today, Active Directory’s old-fashioned methodology has become a huge inconvenience for IT admins who are stuck with one foot in the cloud and one foot on prem. This is the problem that JumpCloud® Directory-as-a-Service® sets out to solve. JumpCloud’s mission has been to create a fully cloud-based directory, and the culmination of that project is our Directory-as-a-Service (DaaS) platform. 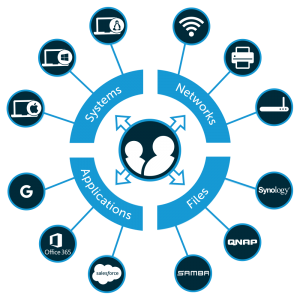 This unified directory is able to authenticate, authorize, and manage user access to IT resources for any operating system (Windows®, Mac, or Linux), across any device, and with any IT or web based application whether they’re on-prem or cloud based. 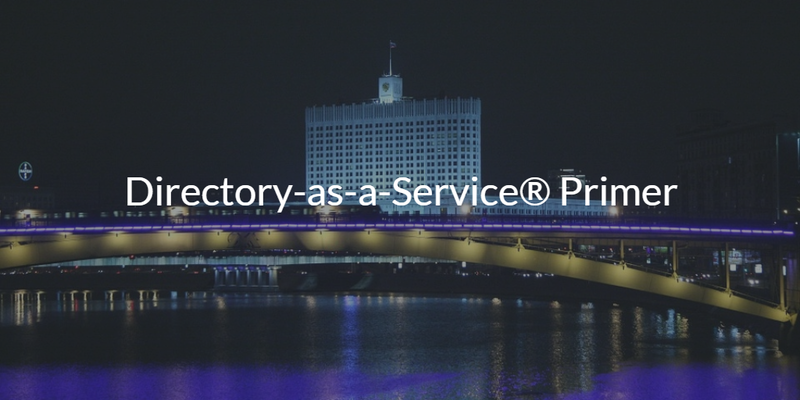 To learn more about the Directory-as-a-Service platform, check out the primer that we created. It offers a great introduction to the product, and can help you start to better understand the cloud-based directory. You can find the primer here. If you would like to learn more about the unified cloud directory, reach out to us. We would be happy to answer any questions that you may have on whether a cloud-based directory could be right for your organization. Alternatively, feel free to check out our Directory-as-a-Service platform for yourself. Your first 10 users are free forever, so there’s no reason not too.